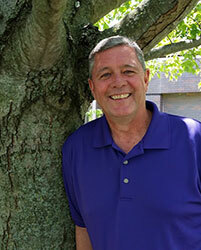 Larry Welsch, a Parkesburg native, is a Landscapes3 Steering Committee member. Welsch is the executive director of the Chester County Food Bank, which mobilizes the community to ensure access to healthy food. As a member of the steering committee, he will bring his expertise in health and the food services business. At the food bank, he has worked toward alleviating hunger by offering healthy food to county residents who are struggling to make ends meet. “I am looking forward to the work with Landscapes3, and the importance of helping direct the future of the county,” said Welsch. For more information about Welsch, click here.